Columbia Tristar originated from a company orginally founded in 1920 called Columbia Pictures, the founders were Jack and Harry Cohn and Joe Brandt. Harry Cohn was the studio's president and his brother Jack was based in New York and handled distribution. Batman and Batman and Robin in the forties sparked Columbia's interest of joining the trend toward television. Columbia was highly regarded in the 1950's unfortunately the deaths of both Cohen brothers occurred during this decade. After their deaths, Abe Schneider and Leo Jaffe took over the company and it continued to prosper. Along with the films from the best festivals (for example; Kendal, Banff and Telluride), we want to show high quality independent films that may or may not have been widely released. If you have a film that you feel meets these criteria, we are very interested in hearing from you! 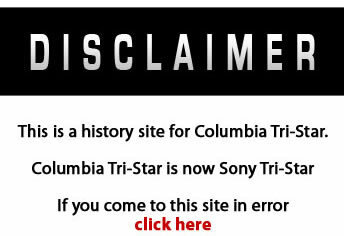 More information regarding Columbia Tristars more recent history can be found here. The Film showings will make use of the huge space to the rear of the Mill, which will be fully converted to a cinema room with our huge screen and cinema projector for the ultimate viewing arena. Some of our films are available on DVD, so why see them again? We are offering you the chance to see the films on the big screen, with cinema sound and a big audience atmosphere. The way adventure and mountin films were meant to be seen!